Use FME to easily transform files into and out of the ECW format. 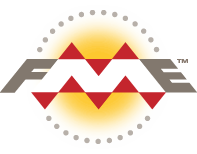 Conversely, use FME to extract and transform data and imagery from the ECW format to suit the format, file size and data model requirements of the destination system. Enhanced Compressions Wavelet, or ECW files are typically used to store aerial and satellite imagery due to their ability to compress large images while maintaining their visual quality. FME lets you integrate many applications and file formats. Here are some of the ways our users convert Enhanced Compression Wavelet (ECW). The table below outlines how Enhanced Compression Wavelet (ECW) is supported by our different FME products, and on which platform(s) the reader and/or writer runs.